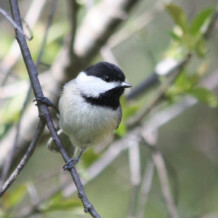 Join us for a bird walk in Glen Providence Park during spring migration! We’ll look for warblers and all sorts of other migrants – and see if we can add to the 120 species on the park’s bird list. This walk will be led by Al Guarente of the Birding Club of Delaware County – it will be the 6th bird walk that Al has led for us! Be prepared for steep hills, and uneven (possibly wet) terrain: wear your hiking shoes, and bring a hiking pole if you use one… and of course binoculars and your favorite bird book or app!